Hi I’m Annette the Assistant Branch Manager. Some say I’m the OAP of the showroom, as I have many many years of experience in the tiling Industry under my belt, but not letting onto how many exactly! Outside of work I enjoy watching Formula One and when the weather is nice, walks along Southsea Seafront and the local beaches. Hi, I’m Brian, If Annette is the OAP of the Showroom, then I am the Dogs-Body of the Warehouse and can often be found cleaning up other people's mess. 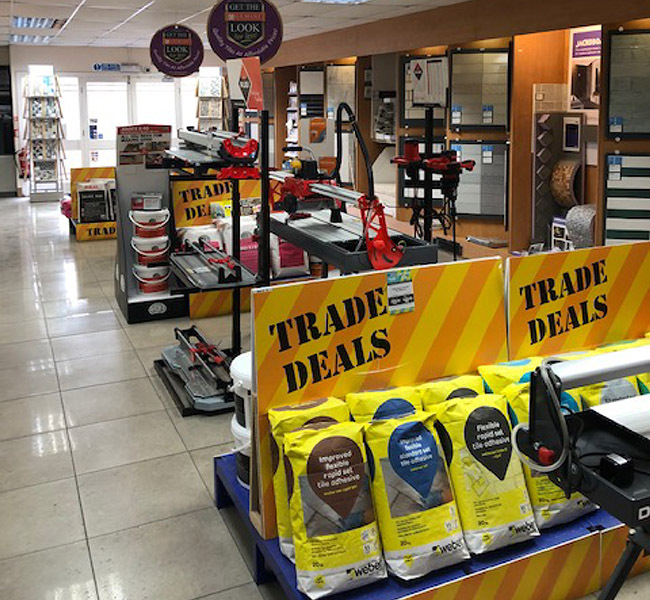 I am also responsible for merchandising and grouting up the boards found in the showroom and delivering tiles to our customers. Outside work I enjoy watching Formula One and support Manchester United. Chichester is one of the great well-preserved Georgian cities in the UK, and has played a key part in the affairs of Sussex since Roman Times. Today it is a prosperous administrative capital of West Sussex and a great place for shopping. There are plenty of good reasons to visit, Chichester Cathedral, now home to peregrine falcons. The partially restored Chichester canal, Chichester Harbour and just outside Chichester the village of Fishbourne where lie the remains of Fishbourne Roman Palace, which is now a museum of national importance. Goodwood Estate is just a couple of miles outside of the city centre, home to the world famous Festival of Speed, Goodwood Revival sand Glourious Goodwood. Notable People from Chichester include William Cawley – Politician; signatory to death warrant of King Charles 1. Hugh Dennis – Comedian; Mock the Week, Not Going Out. Michael Elphick – Actor; Boon, EastEnders. Tom Odell – Singer/Songwriter. Timothy Peake – Astronaut & Nobel Peace Prize Nominee. A collection of modern high gloss tile range for use on walls. Available in 7 colours and 3 complementary sizes including geometric décors & hexagons. Great for adding a new dynamic to any trend setting space. An elegant yet durable wood effect floor tile with trend setting qualities and 5 colour variations - true sophistication with a modern twist. Sabrina: "Great quality tiles at very reasonable prices. Good selection and lots of interesting ranges that have different colour variations. Spoilt for choice. Friendly staff who know their stuff. Ended up going for the Keraben nature bone which looks fab!" John: "The wife and I discovered this lovely place after trawling around all the local tiles shops and ending up here. 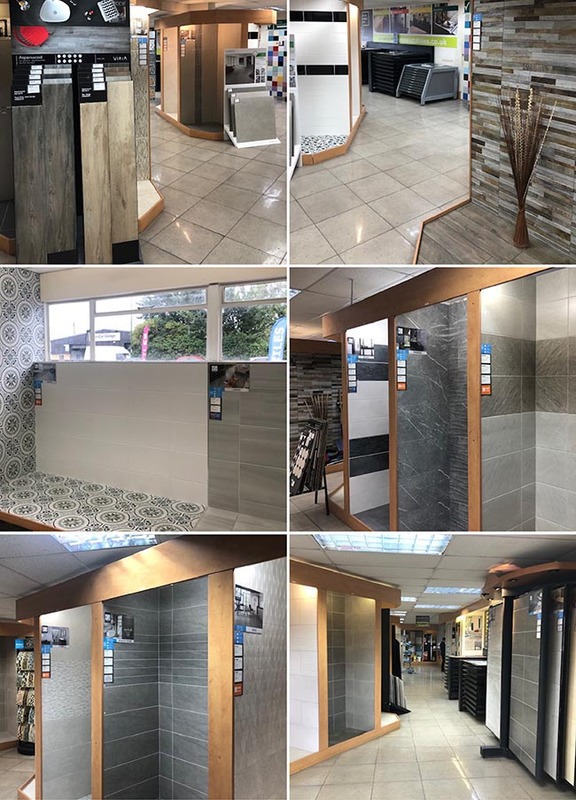 The showroom has such a fantastic variety to choose from and after 3 visits back and fourth we finally made a decision. The non pressure sales environment along with friendly, genuinely helpful staff made us feel welcome and helped us step by step. Would definitely recommend as the bathrooms look amazing."